Jaw contouring is a procedure designed to soften the facial contours of the jaw line making the lower part of the face narrower giving a face more youthful and feminine appearance. Who should have jaw contouring? Jaw contouring is typically indicated in individuals with a square jaw. A square jaw is generally considered to be more masculine whilst a V-shaped facial contour is considered more desirable in females. For some individuals a square jaw may mean facial contours seem odd in their appearance due to the over development of the masseter muscle. This can be a concern for both men and women, particularly those of Asian ancestry. What are the contributory factors for having a square jaw? Contributory factors for square jaws include Asian ancestry, genetic predisposition and changes in mandible bone, skin and fat. What are the non-surgical treatment options for jaw contouring? At Bedford Skin Clinic, we use Botox injections to relax and reduce the enlarged masseter muscles. This results in a softening of the contours of the lower face and the jawline appearing more heart shaped. 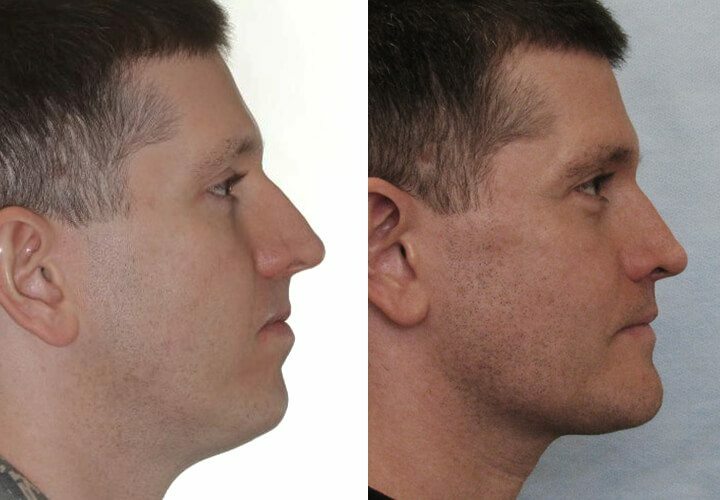 Clients will typically experience a softening of the masseter muscle within five to seven days post treatment and a relaxing of the jaw line within six to eight weeks. The effects of treatment can last up to six months with many clients achieving a permanent reduction with two to three treatments. This may not be possible for clients who grind their teeth as their masseter muscles are typically stronger. Individuals who would like to sharpen the square look of their jaw are usually treated using dermal filler. Our dermal filler of choice for this treatment is Radiesse.